After producing a film like Pad Man, which promoted menstrual hygiene, Mrs Funnybones aka Twinkle Khanna has come forward to support another film that talks about the subject of the menstrual cycle, titled First Period. First Period is a short film directed by Mozez Singh, which takes a look at the menstrual cycle, which is still considered a taboo in our society, from an interesting, unique and surreal new perspective. Director Mozez Singh skilfully deals with the delicate subject of the first period day from a boy’s viewpoint and shows a world where women don’t exist, and where the tables are flipped. This is a Man’s World, where everything is perfect. Twinkle Khanna, who has seen the film, is very impressed with the director’s treatment of the subject and has decided to come forward and support the film. 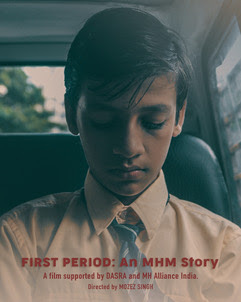 First Period is produced & supported by the NGO Dasra & MH Alliance India, written by Ishani Banerji ( Aligarh) and directed by Mozez Singh, whose debut feature film – Zubaan was released in 2016 to much critical acclaim. He has also directed numerous TV commercials, music videos and TV shows for the leading satellite channels in India. He is currently developing his next feature film as well as a series for a leading digital platform. First Period is all set to release on world Menstruation Day, May 26, 2018. Twinkle Khanna Comes Forward To Support #FirstPeriod, A Short Film releasing today on #NoMoreLimits #WorldMensurationDay.